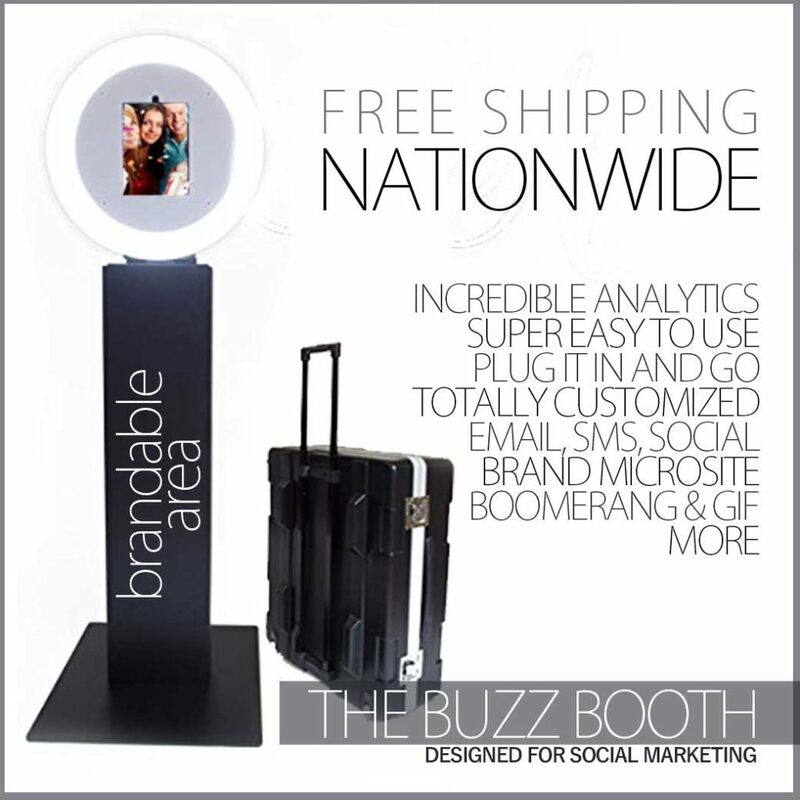 The “Buzz Booth” was designed for Photo Booth Social Media Marketing. It is a beautiful, attractive machine that captures the attention of your audience and gives your brand the excitement and buzz necessary for a successful activation. From the outside to the inside, the Buzz Booth was crafted to generate excitement about your brand. The outside can be wrapped in custom printed vinyl but that’s only where it starts. The inside is where the real magic happens. Your guests will walk up to the Buzz Booth and tap the screen to begin their session. Depending on your preset options, we can create boomerang style animations, photos with an endless assortment of custom filters and effects, beautiful GIF’s, and beyond. From there, the users are prompted to share their creation into the social media stratosphere. 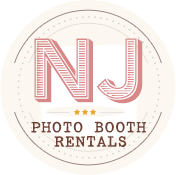 Although NJ Photo Booth Rentals is based in New Jersey, we’ve developed a platform to allow for nationwide shipping of our most popular corporate photo booth – the Buzz Booth. Our Buzz Booth Photo Booth breaks down and ships in a convenient, padded case. We’ll send it out to you and when you’re done with your rental, we’ll have a prepaid return shipping label ready for you to make your return completely seamless. Trust us, we’ll be the easiest piece of your entire puzzle. Do you have activations happening across the country simultaneously? Our team prides ourselves on being able to deliver consistent, quality results across the board. No matter how small or large the scope of your ambitions reach, we are here for you to help create and execute the perfect photo marketing plan. We’ll work with your team to create a memorable experience that is identical to your audience regardless of the city they are in. The Buzz Booth provides incredible analytics to show the reach of your audience’s engagement with your brand. You’ll receive a list of email addresses and other tidbits of information that will help you focus on what you do best – get results. We created the Buzz Booth Photo Booth to be completely easy to use. It will arrive ready to go and preset with your event’s custom programming. All you do is unpack the unit, assemble it, and power it on and you are ready in minutes. Your brand ambassadors will love how simple and user friendly we’ve designed the experience to be. How Much Does This Photo Booth Cost?